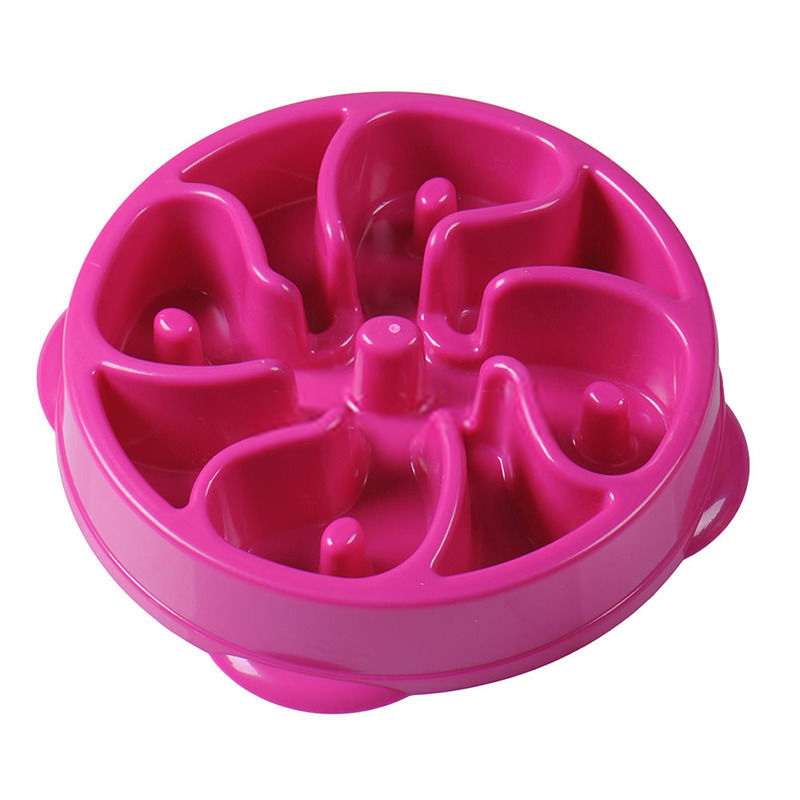 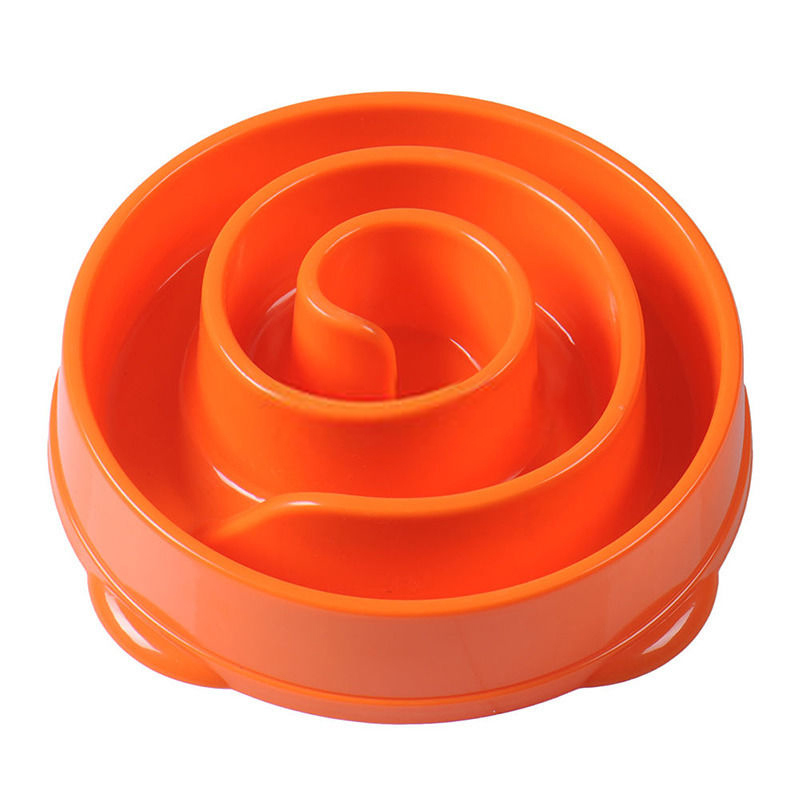 Slow feed bowls are designed to stop dogs gulping their food. 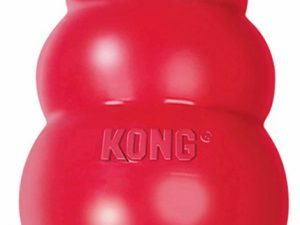 By making your dog eat slower they reduce the incidence of bloat and obesity. 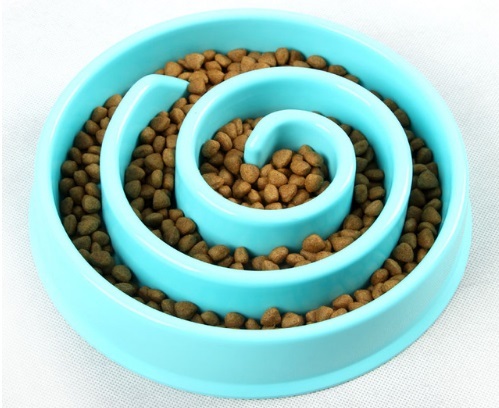 Also stops the gutsy dog gobbling his food and then taking the other’s food! 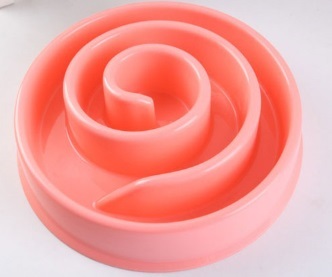 Available in two sizes (large and medium) and 3 designs (spiral, daisy and rose). Suitable for wet or dry food – I push my dogs’ meat and veg in to the bowls and it has stopped them hoovering it up in seconds Some people put kibble in there.